Delta ENERGY STAR® Full speed ventilation fan with light, has voltage rating of 120-Volts and current rating of 0.82-Amp at 60-Hz. It has one GU24 26-Watt CFL main light and one E12 4-Watt night light. Fan offers airflow of 110 CFM at 0.1-Inch static pressure and 95 CFM at 0.25-Inch static pressure. It has 4-Inch Dia duct for superior performance. Fan has square grille that measures 14-Inch x 14-Inch. 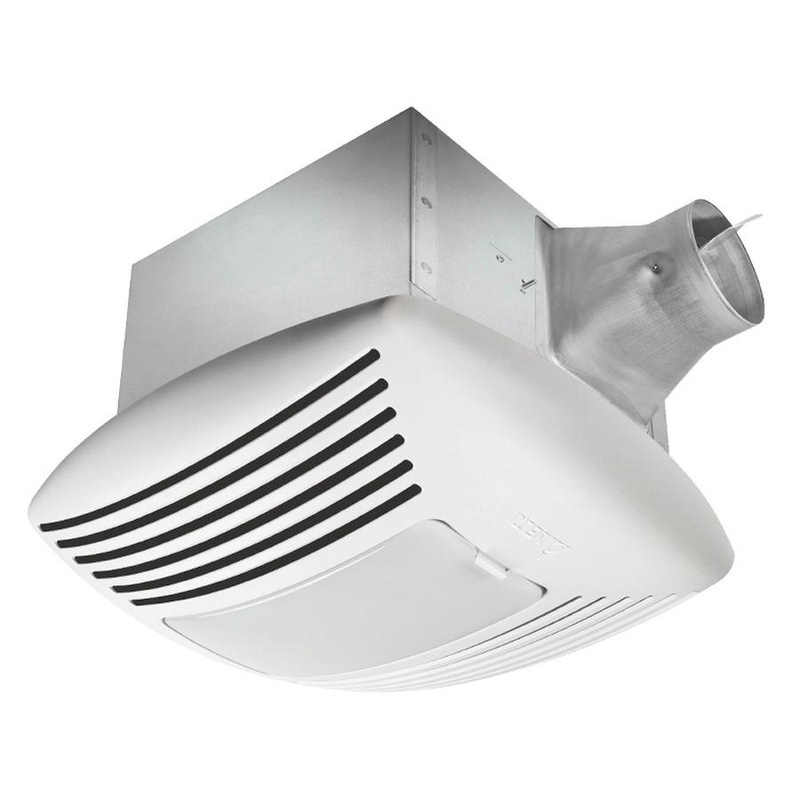 This ventilation fan comes equipped with innovative brushless DC motor technology. It offers quiet operation at 0.4 Sones. Fan provides energy efficiency of 8.5 CFM/Watt at 0.1-Inch static pressure and 6.2 CFM/Watt at 0.25-Inch static pressure. Main light offers brightness of 1850-Lumens and color temperature of 2700K. It has green LED indicator light for power status indication.